Rob Schmitz, China correspondent for APM's Marketplace, described conditions at the Foxconn assembly factory, where iPads are assembled in Shenzhen, China. Rob Schmitz, Shanghai Bureau Chief for Marketplace, a daily business radio news program, spoke Monday evening at the Crawford Family Forum about his role in uncovering the many fabrications in a story presented by Mike Daisey about Chinese labor conditions at Foxconn, which assembles the Apple iPad. While Apple products are designed in California, they are assembled in China, where labor is vastly cheaper. But reports of harsh labor conditions for these Chinese workers have been hard to confirm. 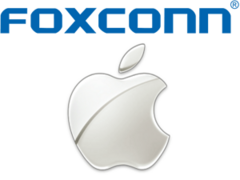 Foxconn, which not only assembles iPads for Apple, but products for Amazon, Dell, Samsung, and many others, has not permitted Western journalists to visit its assembly factories in China. Therefore, Mike Daisey’s story “The Agony and Ecstasy of Steve Jobs,” about his interviews with factory workers from the Foxconn factory in Shenzhen, where iPads are made, was an instant sensation. After it aired on “This American Life,” the audio was downloaded over 800,000 times. Daisy was interviewed by a stream of national news programs for weeks, and the story spurred a national discussion on the moral price of owning high-priced technology assembled by workers who earn a starting salary of about 13 US dollars a day. The problem, Rob Schmitz pointed out, was that Mike Daisey’s story wasn’t true. Daisey hadn’t interviewed 12-year old workers. He admitted later that some of the females he had interviewed “looked like they may have been 12 or 13.” He hadn’t seen victims of n-Hexane poisoning at Shenzhen. An accident with n-Hexane had occurred in another city, long before Mike Daisey had visited China. Armed guards did not patrol the factory gates. Security guards are not permitted to carry guns in China. “This American Life” retracted the story, devoting an hour episode on what went wrong with the fact checking on their part, and the discrepancies that were uncovered by Rob Schmitz. The bigger problem, according to Schmitz, was that the scandal about the fabrication obscured the greater story of factory conditions in China, the workers who flock to them from the countryside, and the impacts that economic development have not only for China, but for the world. Foxconn, Schmitz said, is the largest private employer in China. They produce 40% of the world’s electronics and employ 1.2 million workers. The factory complex that Mike Daisey visited in Shenzhen, and later by Rob Schmitz, employs 240,000 workers. It is more accurately described as a city, with dormitories, a shopping center, and even a soccer stadium. What Schmitz emphasized is that Foxconn is a Taiwanese company with large factories in mainland China, and therefore receives special scrutiny from the Chinese authorities. A starting salary of 13 dollars a day is at the top of the scale for factory wages. Foxconn has run afoul of Chinese labor laws concerning overtime, but has a good reputation for paying workers on time, which is not true of many other Chinese firms. It has no trouble attracting new workers. The day Schmitz visited, 500 people had shown up from rural China, looking for work. They are young, in their teens and 20s. Every day, hundreds more appear for work, and about 60 percent of them are hired. Overtime pay is something the workers want, because their goal is to earn as much money as quickly as possible. Because of greater scrutiny by the international press, and the Fair Labor Association, overtime has been cut back. To compensate for the lost wages, salary raises have been promised, but for many workers, the shortfall in take-home pay has not been made up by the salary increase. Schmitz interviewed two to three dozen people, most of whom said they had not been given raises they were promised. When Schmitz asked Louis Woo, Special Assistant to Foxconn’s CEO, he was told that “78 percent of workers received a raise.” When Schmitz pointed out that only a handful of the 20-30 people he had interviewed had received raises, Woo told him after checking that now the number was 50 percent. That new figure still did not match the proportion of workers Schmitz had interviewed, of whom only about 10 to 15 percent had received wage increases. Schmitz wanted to emphasize, however, that compared to rural China, these factory jobs are a very big step up. Some of the job training helps explain: some workers need to be taught how to use a toilet, said Schmitz, “because they have never seen one.” Workers who have never been in an elevator must be shown what to do, otherwise they enter one and simply stand there. Luo Guofen, who had been at Foxconn for two years, had saved 2,000 dollars to send home, which helped pay for his younger brother to attend vocational school. After graduation, his brother will be an engineer, and will not have to work on a factory assembly line. The Western world has a shared interest in China’s continued economic growth, said Schmitz. It’s important to realize that China’s and America’s economies are deeply interdependent, he said. “They are really the same economy.” Products that we buy are as cheap as they are because of Chinese labor. The money we send to China helps attract more workers from rural China, where 400 million people live on 2 dollars a day. We should encourage, and be encouraged, by an expanding Chinese middle class that is highly educated and that views the Western world, and America in particular, positively. “I told one of the workers at Foxconn that many Americans had become very concerned him and his coworkers,” said Schmitz. The worker appeared baffled. “He told me that he has seen what America looks like in movies, and it seemed like a fantastic place,” so much better than where he was. But he didn’t know how Americans could imagine what it was like for him, or why.